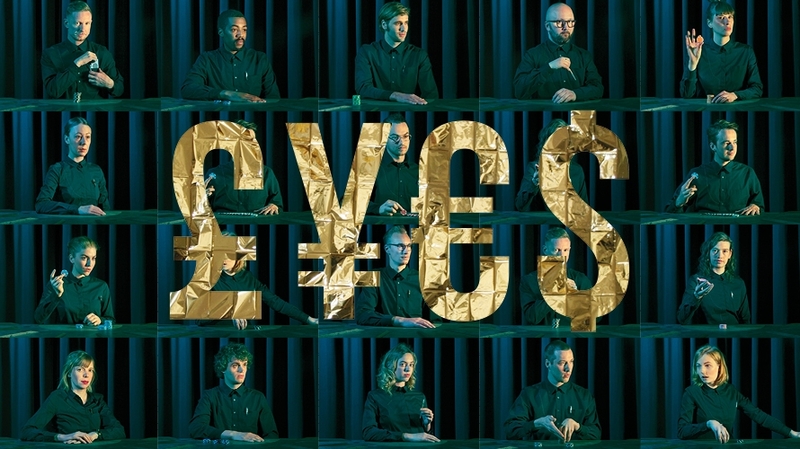 £¥€$ (Lies) is the latest interactive show from the internationally acclaimed Ontroerend Goed and marks our tenth co-production with them, one of the most dynamic, innovative and exciting theatre companies in the world. 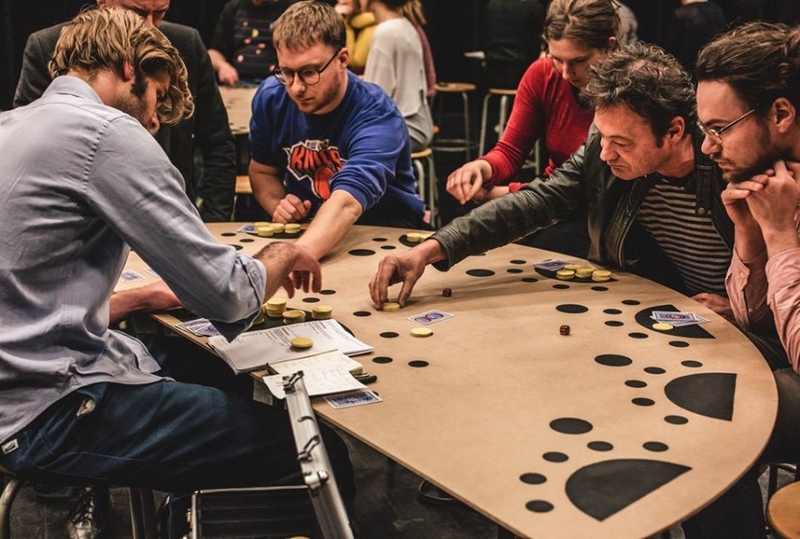 In our latest blog post, Artistic Director Alexander Devriendt reveals his love for board-games and the influences for their latest show. 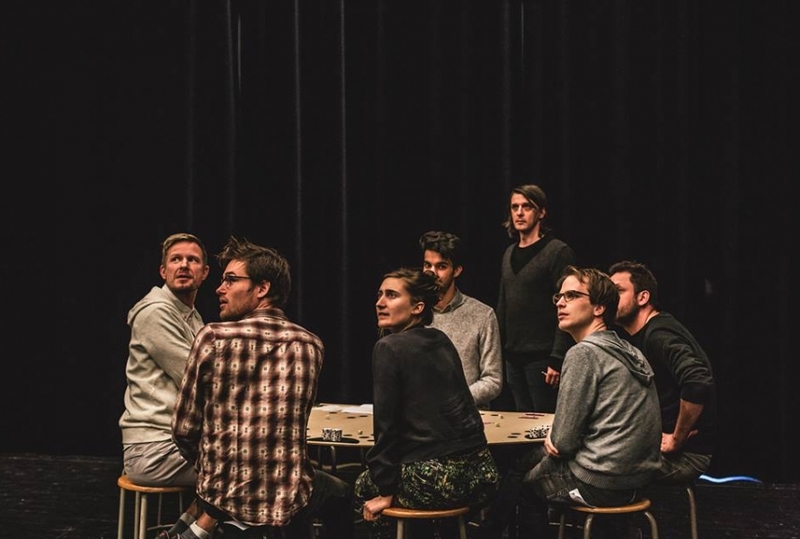 After the large-scale theatre show Are we not drawn onward to new erA and the more classic, text-based performance World Without Us, Ontroerend Goed creates another interactive show. A return to the roots? A.D.: Ontroerend Goed has a golden rule: we look for the best form to tell our story. The Personal Trilogy was a search to make spectators reflect about themselves through a personal experience, but also to release 1-on-1 theatre from the bracket of intimate cuddling and create a dramaturgically strong theatre show in that form. 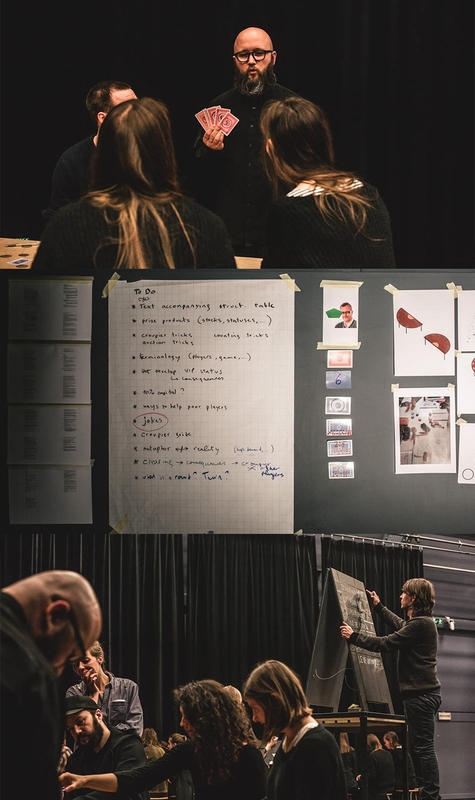 £¥€$ takes us one step further: the interactive concept is employed to talk about a system in the world, to make it touchable and comprehensible. To translate the complex razzmatazz of high finance into a theatrical experience, I thought I would be more useful to immerse spectators into it and let them play the role of a big investor. In that way, they can try and look for solutions, instead of observing the complexity from a distance. It adds the quality of an emotional quest to the rational exposition. The financial world is a hot issue in the press and on social media. What do you want to add to the subject? A.D.: I read a lot of one-sided or simplistic comments about the financial world, both in press and on the internet. Personally, I got a bit frustrated about the fact that I myself didn’t quite understand the intricacies of the system. So I started reading – about what money really is, how the financial world functions, what went wrong during the crisis. It’s such a complex system, with a lot of abuse but also a lot to offer. £¥€$ invites the spectator to build an insight into how things work, step by step, in order to take an informed position of their own. Forcing the super rich to give away all their money is probably totally useless, but it might be worth considering to relieve certain debts. By putting the audience in the position of the bankers or the infamous “1%”, I’m not forcibly looking for sympathy, but I do want to make the inevitability or strict logics of that world tangible. It’s partly motivated by greed, but we tend to forget it’s also about the desire to shape the world and create opportunities. You are a vigorous board gamer yourself, a passion that’s shared among the members of your company. £¥€$ is again a game, with a certain role-play quality for the audience. How do you develop an idea like this? A.D.: Games are theatrically interesting because they provoke interhuman emotions as well as thoughts and insights into certain systems. You could say there are game- like qualities to the financial world, money could be considered a score system in an enormous, world-wide virtual game. As a gamer, I think it’s a challenge to transpose that reality into a theatrical ‘play’, that makes you both feel and think. We’ve read a lot of literature during rehearsals – The Ascent of Money by Ferguson, Debt by David Graeber, articles of Naomi Klein, Joris Luyendijk, Paul Mason’s Postcapitalism -, talked to experts, but we’ve also played a lot of boardgames. This gave us a good idea of how you can transpose big, abstract notions to simple, explainable actions at a game table, without sacrificing the complexity. The performers in this show are more like dealers, that teach you by means of poker chips how you change high risk investments into toxic products that you can sell at other tables. In this game formula, we don’t need to hold the spectators’ hands too much, they call the shots themselves. It’s that boundary between performance and game that’s exciting for us. We’ve explored this in A Game Of You – also a game – and in Fight Night, but never as profoundly as now. The title, £¥€$, seems to express a certain distrust in the financial system. Does the performance take a strong position about it? £¥€$ (LIES) continues its run on The Drum stage this week until Sat 24th June. Book your tickets here and don’t miss this exhilarating theatre experience.